‘Donating blood means saving precious lives. 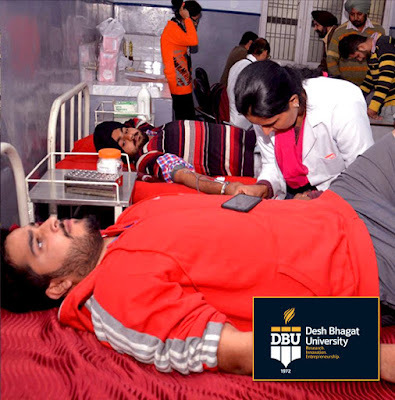 Blood donation is also beneficial health-wise as so many researchers’ have shown that donating blood reduces the risk of heart attacks and even cancer’, said Desh Bhagat University Chancellor Dr. Zora Singh. He was speaking on the inauguration of blood donation camp held at the university by Bhai Kanhaya Ji NSS Department in collaboration with HDFC Bank. He exhorted the students to come forward in large numbers for this service of mankind. 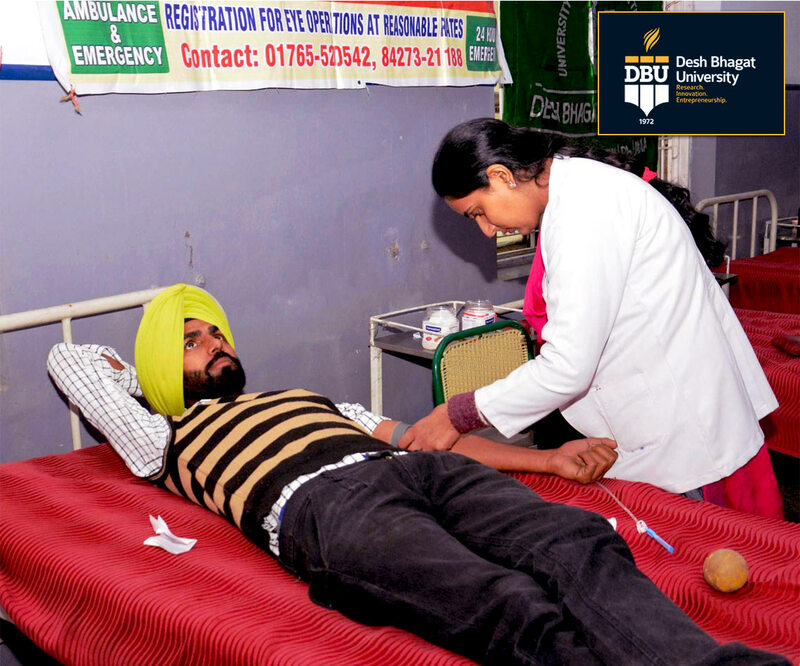 In this camp, members of the staff, students of different university faculties and volunteers donated 76 units of blood. 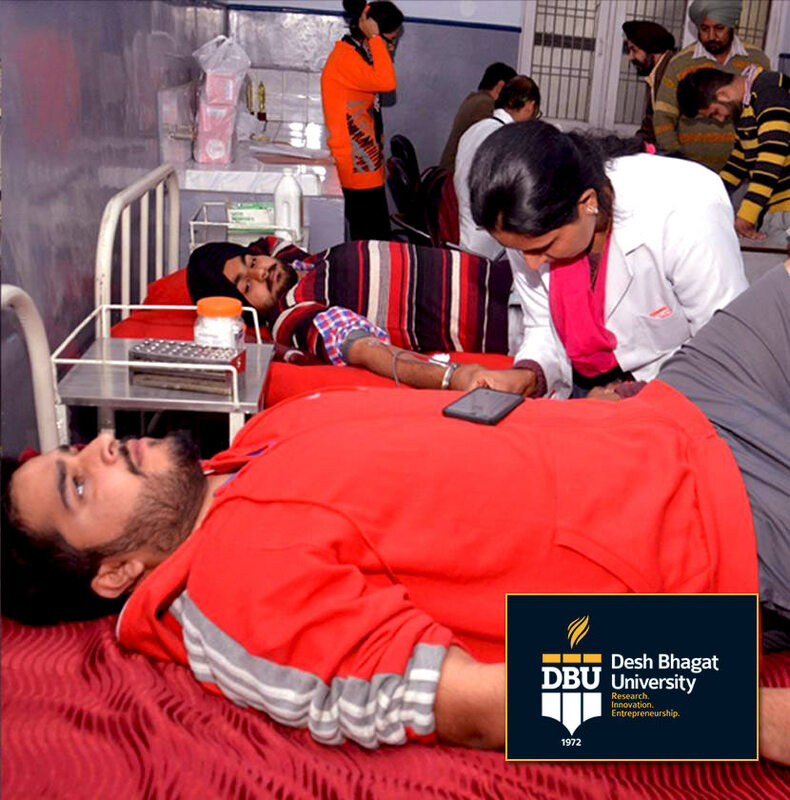 On this occasion, Desh Bhagat University Pro Chancellor Tejinder Kaur said that donating blood is donating life and students should set an example for others by becoming regular blood donors and donating maximum units of blood. 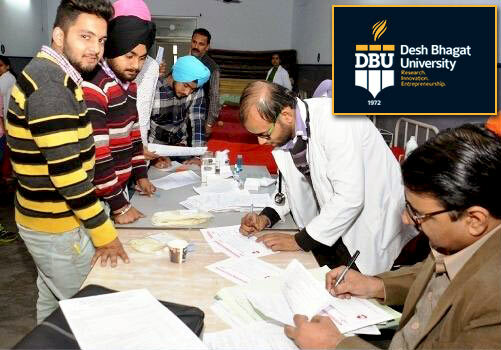 University Registrar, Dr. Virinder Singh said that University has been organising such blood donation camps on regular basis and students remain ever ready to contribute to this noble cause. The camp was highly successful and the enthusiasm shown by the young students was exemplary. 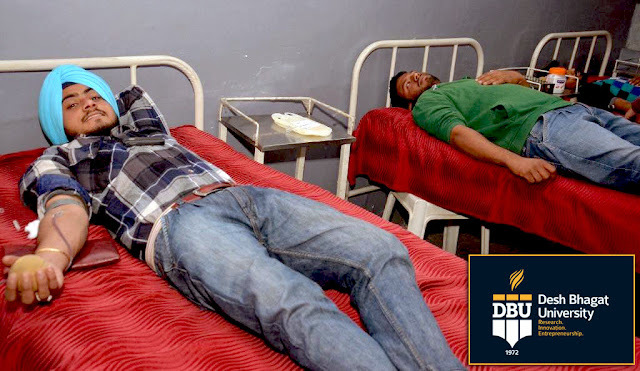 The Blood Collection team was from Life Line Blood Center, Patiala. The Blood Collection team distributed certificates, refreshment and badges to the blood donors. 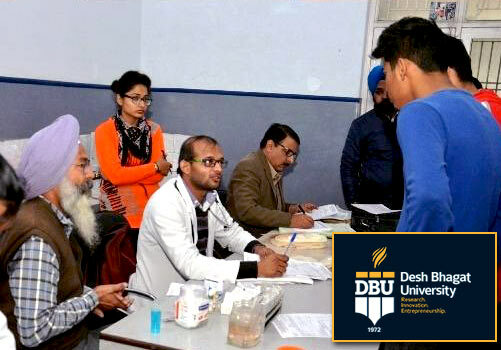 Besides the faculty and the students, Vice-Chancellor Dr. Shalini Gupta, Controller Examination Dr. I. S. Sethi and Director (Academic) Dr. Rajesh Goyal were also present on this occasion. 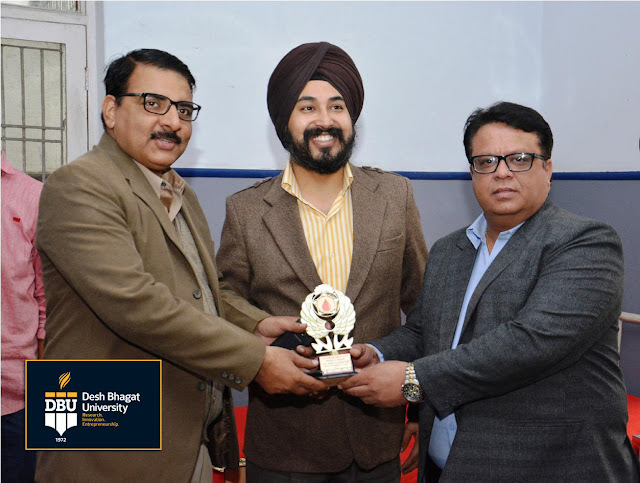 Mr. Davinder Singh Gulati (Circle Head, HDFC Bank, Mandi Gobindgarh) was Special Guest on this occasion. Sh. Krishan Kumar Singla (AVP, Clearing House Head), Rishi Kaura (Manager) and Jaswinder Singh Arora (Manager) from HDFC Bank were Guests of Honour. They said that the camp was a part of nationwide Blood Donation Drive which is being held annually by HDFC bank for the last 8 years. All the dignitaries highly appreciated the contribution of the students for their zeal and dedication.